Very few people think about it, but music and books are extremely similar. Both feature a broad range of genres, and there are sometimes crossovers where the music (or book) could be put into several different categories. Don’t believe me? Think about historical romance novels, or rap albums that feature classical music. It’s possible to mash up several genres to create a totally new or unique style. Similarly, books and music can also be reworked so that the same story/song is covered, albeit in a slightly different way. This is pretty much how K-Pop (South Korean pop music) formed. Heavily influenced by Western 90’s boy bands, and with 1950’s American rock as a cornerstone, K-Pop has evolved throughout the years to become quite successful around the world. It particularly caught the world’s attention in 2012 when Psy’s ‘Gangnam Style’ video reached one billion hits on YouTube- making it one of the most successful videos of all time, and launching Hallyu (the Korean Wave) fever around the globe. K-Pop has since exploded outside of Asia’s boundaries with popular bands such as BigBang, EXO, Girls’ Generation- and the recently touring GOT7 and BTS- delighting fans. Perhaps it is the blend of outlandish outfits, perfectly synchronised and choreographed dance moves, infectious and fun beats and admittedly attractive group members that seem to draw young people in, but fan groups seem to have a hysteria all of their own when it comes to their favourite K-Pop idols. This hysteria is worse than what could be witnessed at the peak of the Beatles, or even that of One Direction and Justin Bieber a few years back. Featuring a mixture of Korean, Japanese and English lyrics, K-Pop is easily a genre all of its own, although rap, bubblegum pop and ballads often play a major role in each group’s playlists. This book covers the history of the genre, and at the end of each chapter, gives a recommended track listing for those interested. 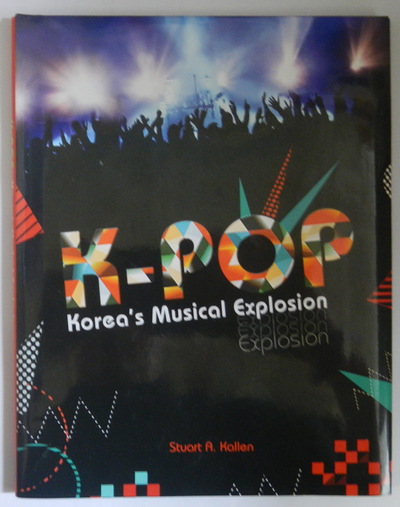 While there have been many successful groups since its publication, this book provides plenty of information about K-Pop in the lead up to ‘Gangnam Style’s’ success, and is essential reading for anybody interested in learning more about this South Korean phenomenon.